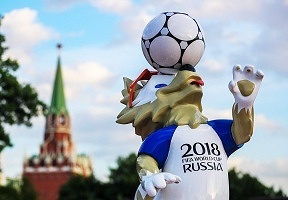 The most anticipated day is here, the 2018 FIFA World Cup Russia, one of the most highly popular sporting events in the world. We all know the 2018 FIFA World Cup is the most anticipated sporting event in the planet, but according to a study conducted by Horowitz Research, the love the fans have for the sport goes far beyond screaming at the top of their lungs when a goal is scored. Here are the eight most surprising facts about World Cup fans according to the study. • Out of 800 Hispanic individuals surveyed, many stated that seeing their country win the World Cup would be the second proudest moment of their lives after embracing their child for the first time. They even scored it above winning a brand-new car and getting a promotion at work. • Sixty-six percent of Hispanic millennial men don’t mind running the risk of getting in trouble for missing work to stay home and watch an important game. • Sixty-eight percent would rather give up all other television programming than give up soccer. • Fifty-two percent would rather spend the day with their favorite soccer club than with their own family. • One out of every four non-Hispanics prefers watching the World Cup in Spanish because they consider it a better overall experience. 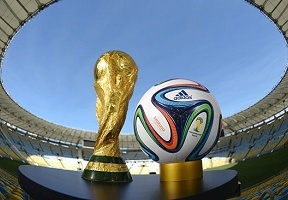 • Nine out of ten Hispanics are already planning to watch every single game of the 2018 FIFA World Cup from June 14 to July 15. • When it comes to actually watching the matches, 77 percent answered that they plan to do so live on TV, even if that means waking up as early as 5 a.m.
• Forty-six percent said they would watch games live via a mobile app and 31 percent said they would watch games On Demand when their schedules permitted. Sixty-one percent say they do not mind running the risk of getting into trouble at work to see the game live, 52 percent prefer to spend the day with their favorite team than with their own family, etc. If you don’t want to miss a single play or want to risk getting in trouble for watching at work, Comcast’s Xfinity has come up with a good solution for you. The company has designed a unique experience that allows its users to watch every game live on TV, On Demand and via live streaming on mobile devices and computers using the Xfinity Stream app. These following teams will play over the weekend.